With a number of companies testing the immersive storytelling potential of 360-degree videos on Facebook, Liberty Mutual stands out for its unlikely, yet clever use of the medium. It’s cold. It’s dark. Your car breaks down. What should you do?! Explore our 360° Video Quiz to find out. The video takes viewers through a relatable and often-feared scenario of a car breaking down in the middle of nowhere. Presented in a quiz format, as the viewer grabs and scrolls their way through the video, they are presented with a series of options for how to handle the roadside dilemma. With each “grab and scroll,” the video imagery changes, adding to the eerie experience of being stranded in the woods at night. Liberty Mutual created the video with Havas and Facebook’s Creative Shop and has generated 2.25+ million views to date. In a time where the customer experience reigns supreme, 360-degree videos present an exciting opportunity for both marketers and customers. For marketers, 360-degree videos offer an immersive storytelling experience, but it’s really the consumers who are in the driver’s seat. As a result, the best 360-degree videos will be designed around consumer experience – vs. corporate interests in mind. While this is really the approach companies should be taking for all of their content, 360-degree videos emphasize this point, as consumers literally control their viewing experience. To create 360-degree videos, a special set of cameras are required to record all 360 degrees of a scene simultaneously, resulting in the immersive experience for users to explore from every angle. Part of what makes Liberty Mutual’s 360-degree “roadside dilemma” so successful is that it was designed to optimize the user experience across every point of view. Each ‘frame’ of the 360-degree video has dynamic and engaging elements, from the changing scenes, to the quiz element, resulting in a story worth exploring from each point of view. As someone who frequently speaks at conferences, I’m often asked how less creative industries can use visual storytelling. 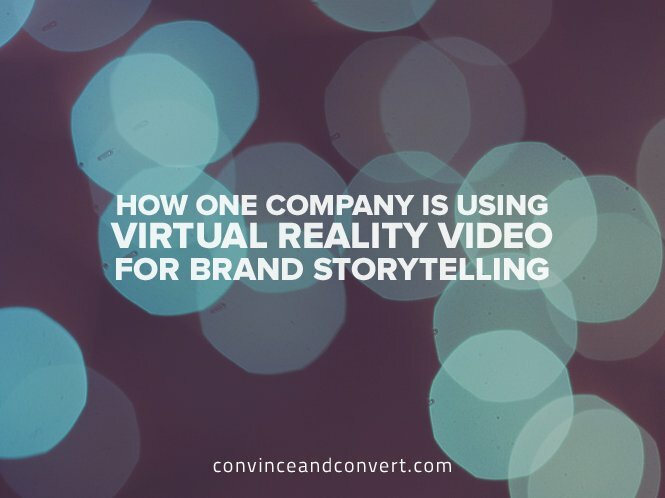 Consider taking a page from Liberty Mutual’s playbook and experimenting with the storytelling potential of different visual mediums like 360-degree video to bring your story to life. The key is to align the visual medium with the story you’re trying to tell. Whether it’s visualizing a data centric story in an infographic, leveraging a humorous GIF as an exclamation point, or tapping into the power of 360-degree video to quiz fans on how to handle a roadside delimma, the right visual truly brings stories and statements to life.